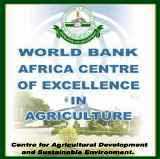 The Federal University of Agriculture, Abeokuta (FUNAAB), is now one of the World Bank’s Africa Centre of Excellence (ACE) in Agriculture. The University was chosen after a rigorous desk evaluation exercise, which was followed by a site evaluation by the ACE Project Steering Committee, which held its final selection meeting in Dakar, Senegal recently. A breakdown of the result shows that FUNAAB is one of the seven (7) ACE’s in Nigeria and the only one (1) for Agriculture in the country. 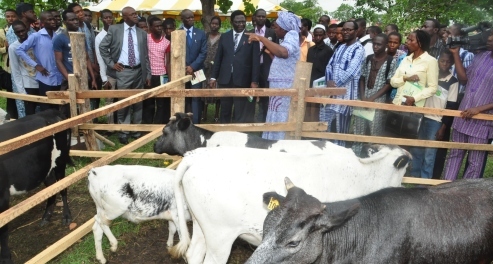 The project won by FUNAAB, would be implemented through the Centre for Agricultural Development and Sustainable Environment (CADESE), having scored 75.2% in the overall evaluation score in Agriculture. The World Bank, in collaboration with West and Central African Countries, launched the African Centre of Excellence Project, among other objectives, to promote regional specialisation among participating Universities in areas that address specific common regional challenges, strengthening the capacity of these Universities to deliver quality training and applied research, as well as meet demand for skills required for African development. Meanwhile, the Vice-Chancellor, Professor Olusola Oyewole, congratulates and appreciates all members of staff for collectively achieving this laudable feat!